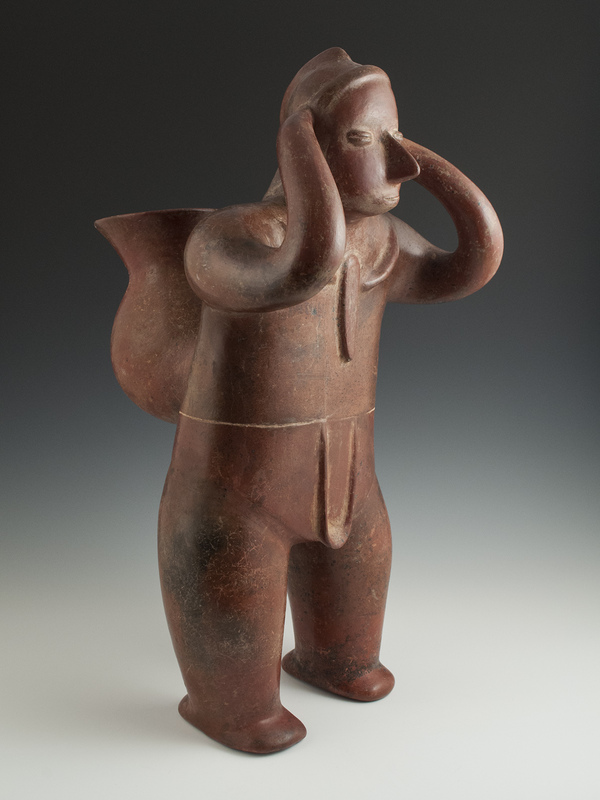 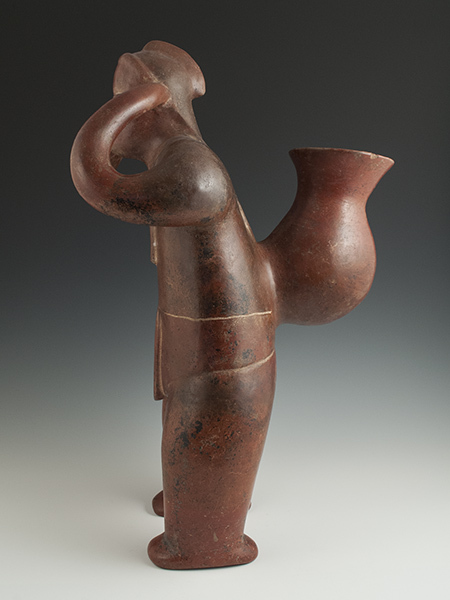 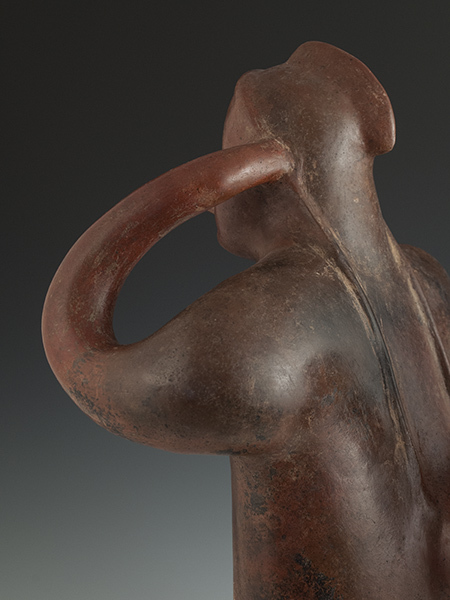 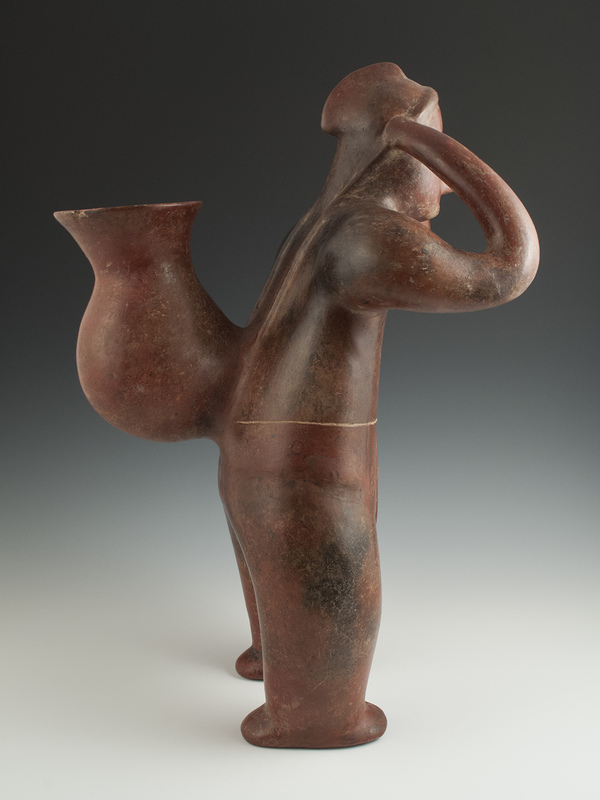 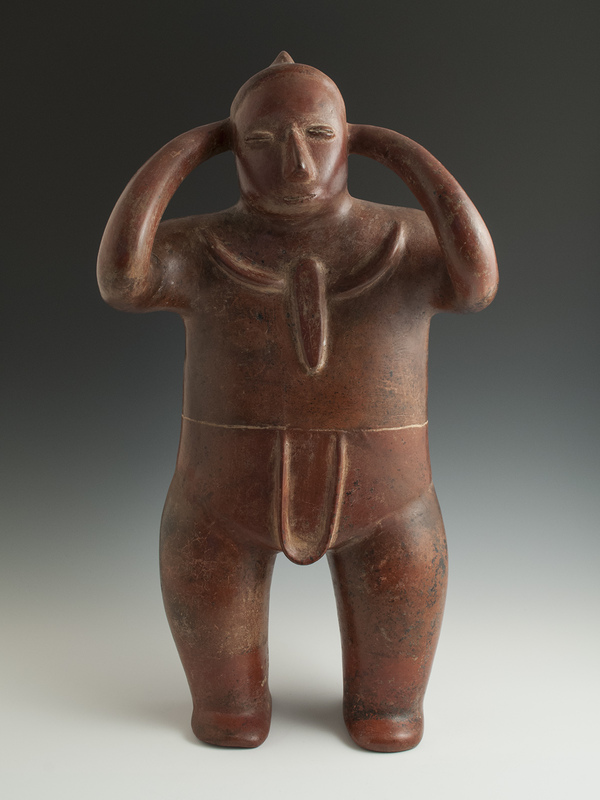 A large redware figure of a water carrier (cargador) with arms gracefully tapering and curving upward to adjust the tumpline on his forehead. Wearing a breechcloth, a shell pendant necklace and a crested cap, he stands on sturdy muscular legs, prefectly balancing the load on his back. Ex. 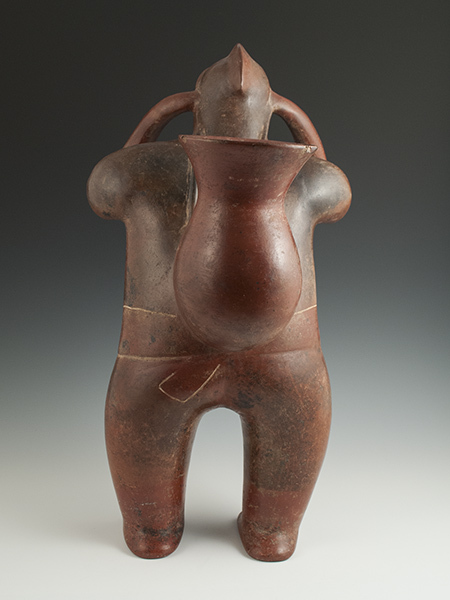 private collection, Iowa, ex. 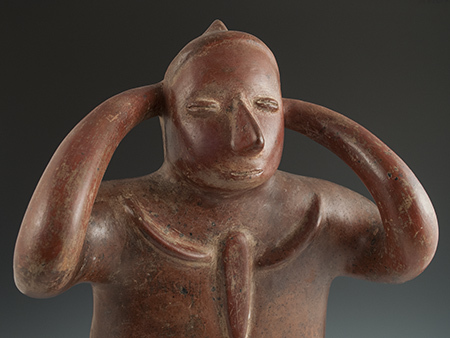 Sotheby's Pre-Columbian Art, NY, November 23, 1992, Lot #140, ex. Hurst Gallery, Cambridge, MA.